Samantha Yallope (b. 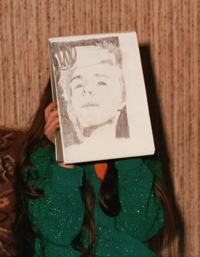 1976, London) has been drawing since she could hold a pencil and selling her artwork since age 14. There’s no set process for painting. I’m always looking around and trying new approaches. I try and tackle an idea according to what feels right for me at the time. Moving to Brisbane in 1998 and the subsequent lifestyle change gave Sam the space and time needed to focus more on her art, and she has been exhibiting regularly for the last 9 years.